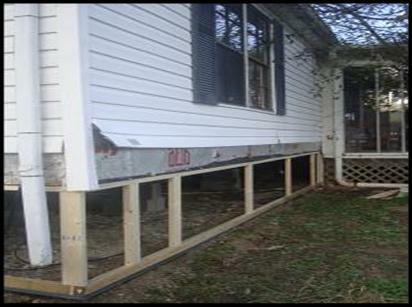 Durable metal mobile home skirting applications start with a solid support system as demonstrated (photo A). Treated 2” x 4” boards were used along the base of the frame. Untreated pine 2” x 4” boards have been used for the upright supports and the top edge which is secured to the bottom of the home. 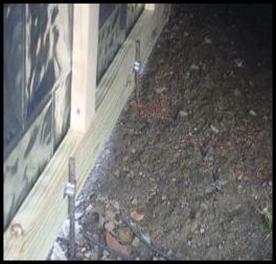 To anchor the frame, 24” rebar “posts” have been pounded into the ground behind the frame. 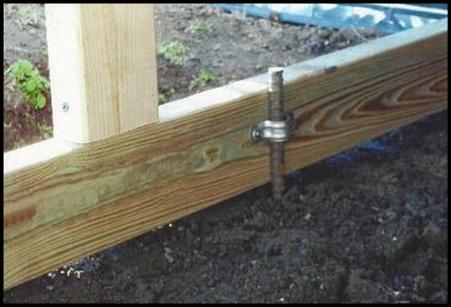 Pipe grip ties have been used to attach the posts to the inside of the frame’s base board (photos B & C). This prevents the frame from moving inward or outward and also allows the frame to adjust when the ground freezes and thaws. Follow & Contact Us Today!